Facts & Questions – What Is Prospect Research? Prospect research is not rocket science, or I would not be doing it! It is often more of an art than a science. That said, there are important technical skills needed. They can be acquired through education and practice. Certain attributes are beneficial in making a top-level prospect researcher. Analytical, writing, and reading skills are essential. Experience is critical. Tenacity (never give up) and curiosity are very important. The longer you do prospect research, the better you get. A high performing researcher develops an intuition that helps guide the process and success of their work. Some prospect researchers can “smell” old money with very little evidence. They can then direct their focus to ferret out the nuggets that will set up their major gift team in a successful solicitation. The prospect research team (or person – or half person) should be an integral and highly valued member of the development team at your non-profit. Prospect researchers should proactively review significant gift portfolios and feed those portfolios with new, qualified, prospects on a regular basis. They should be a trusted partner in major gift and campaign meetings. They should be well-funded with subscription resources and a significant investment in their professional development. Prospect research is about actionable wealth intelligence. When I started in prospect research, twenty-three years ago, my local hospital wanted to know who owned the million-dollar waterfront homes on Cape Cod. The nineteenth prospect that I identified gave a $2.5 million naming gift. That began a journey that led me to change the focus of my business from selling commercial real estate to supporting philanthropy. I have never looked back. I love my clients and their missions. Here is a tiny bit of what I have learned along the way. Hope you find it helpful! – Dave Chase, CEO, Chase Solutions Inc. Ad hoc research to find specific information like telephone numbers and addresses. Prospect briefs to provide snapshot information for meetings, calls or events. In-Depth prospect research to provide detailed biographical, wealth, philanthropic, connection and motivational information. Wealth screening to identify, rate and rank large groups of constituents in your database. Prospecting for new prospects outside your database with characteristics similar to your donors. Conducting analytics and predictive modeling to identify the characteristics of your top donors and find new prospects, or lower performing donors, who look like them. Performing due diligence to ensure no adverse information is linked to naming gift donor or board prospect. Why do we do prospect research? To identify, qualify, rank and rate for fundraising, identify estimated giving capacity, identify motivations and likely approaches for solicitation and prioritize who is the most likely candidate for your major gift, an annual gift, campaign, board membership, event, and planned giving programs. Ideally, a dedicated prospect researcher on your staff, a professional prospect research consultant, or a professional freelance prospect researcher. We all do prospect research to some degree. A major gift officer who does a Google search for a donor. A chief development officer who looks up a prospect in WealthEngine. An administrative assistant checking Whitepages.com to find a donor’s phone number. 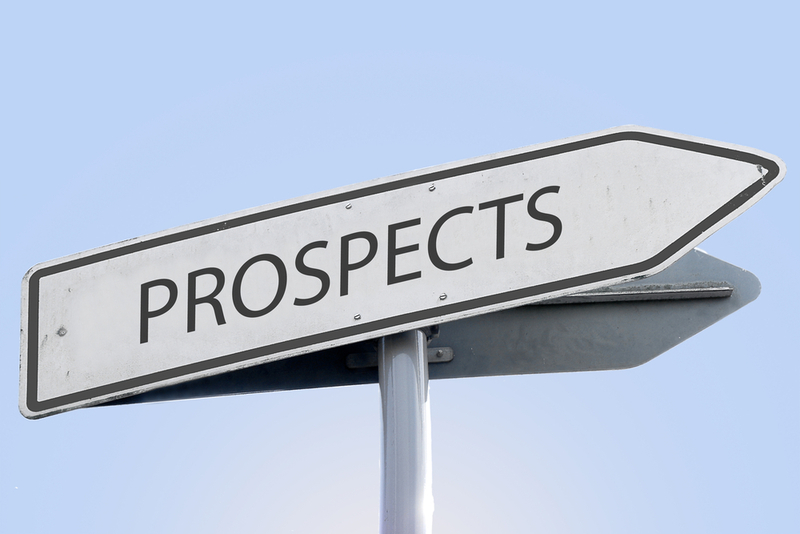 When should you do prospect research? Wealth screenings on full donor database are typically done every two to three years for high performing organizations. Patient screenings are done daily for large hospitals and less frequently for smaller hospitals. Schools screen incoming parents and grandparents, reunion groups and event attendees annually. In-depth prospect research should occur when a major gift prospect is identified, qualified and moved into solicitation stage. What can prospect research find? Prospect research, including screening and data appends, can find contact information, business information. Net worth, business value estimates & income estimates. Actual income for top officers of non-profits and publicly held companies, giving capacity estimates, propensity to give ratings, planned giving ratings and much more. Estimated giving capacity based on visible assets, income and/or net worth estimates (developing ask amounts requires review of what is found through prospect research, review of everything the organization knows about them, and collaboration with gift officer, who should make final determination). What can prospect research not find? There are limits as to what prospect researchers can find. Below are examples of what a researcher cannot find. It can be hard to find information on people who go to lengths to hide their assets. Beneficiaries of trusts, limited partners, stockholders in private corporations, and minority stockholders in public corporations, are rarely identifiable. The prospect may be long retired, a reclusive heir of a vast family fortune, or merely an individual with minimal assets and a low public profile. These, along with very high-profile prospects, are the most time-consuming profiles because we need to exhaust every possible data source. How do you do prospect research? There are a number of prospect research resources on my Resources Page. These include free resources like Prspct-L (the awesome discussion group for our industry), SEC filings and real estate assessor databases (shout out to the phenomenal Christina Pulawski). There are also paid resources like WealthEngine, Ancestry.com (one of my personal favorites) and Nexis® for Development Professionals. Prospect research takes time. In-depth profiles can take three to four hours. Very detailed profiles, like looking for old money, can take ten to fifteen hours. Investment in professional development and training is crucial. Join professional groups like APRA. Go to annual conferences, log into the webinars, attend regional events, workshops and seminars. Take advantage of vendor training, webinars, and videos offered by your vendors. WealthEngine, DonorSearch, iWave, and Blackbaud to learn their products and how to do prospect research. How do I get started in prospect research? I get this question a lot. From folks who want to work for a non-profit, as a prospect researcher, and current prospect researchers who wish to break into freelance prospect research. Networking, learning, and experience are the three key ingredients. Begin by joining APRA, NEDRA, a local philanthropy group (like a regional AHP group – like NEAHP, or AFP chapter, and signing up for Prspct-L. To gain experience, you could try volunteering as a prospect researcher for a favorite organization. How do I hire a prospect researcher, freelance prospect researcher or consultant? Prspct-L is the place to start. The vast majority of professionals involved in prospect research, subscribe to Prspct-L. You can also post on various job boards, like APRA and NEDRA. In addition to Prspct-L, freelancers and consultants can be found by Googling freelance prospect research or prospect research consultants. If you’re interested in prospect research and are looking for a consultation, feel free to contact us today! Comments flagged as spam will not appear until reviewed. P.S. Your email address will not be shared or published.